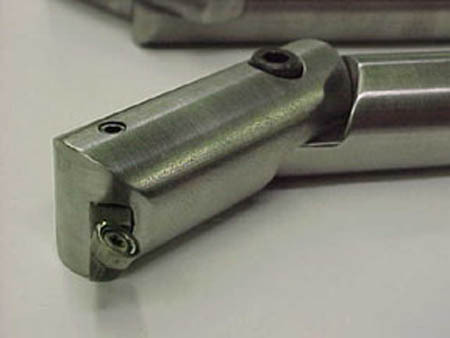 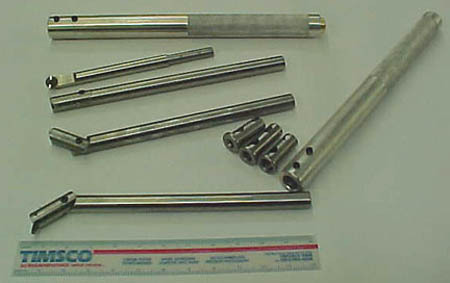 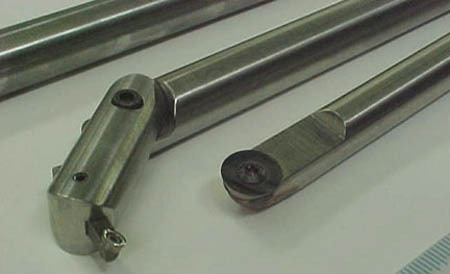 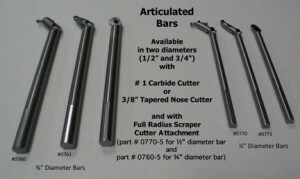 Articulated bars utilize Hunter Tools #1 or #2 cutter assemblies. 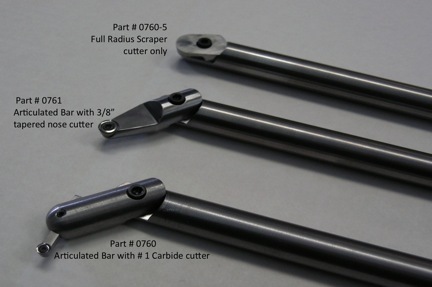 They will operate in a straight line or up to 90 degrees left or right of center. The top of the bar has a flat to accomodate the set screws of the universal handle and the bottom of the bar has flats creating the sweet spot for the Hunter Cutter Assembly. 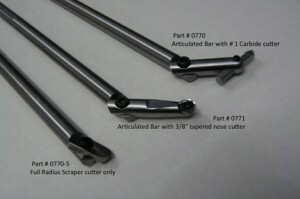 All parts are available individually. 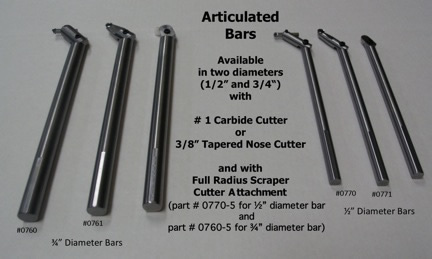 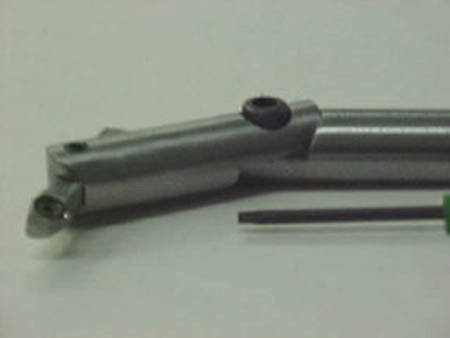 1/2″ Articulated Bar for hollow forms that utilizes the # 1 Hunter Cutter Assembly.